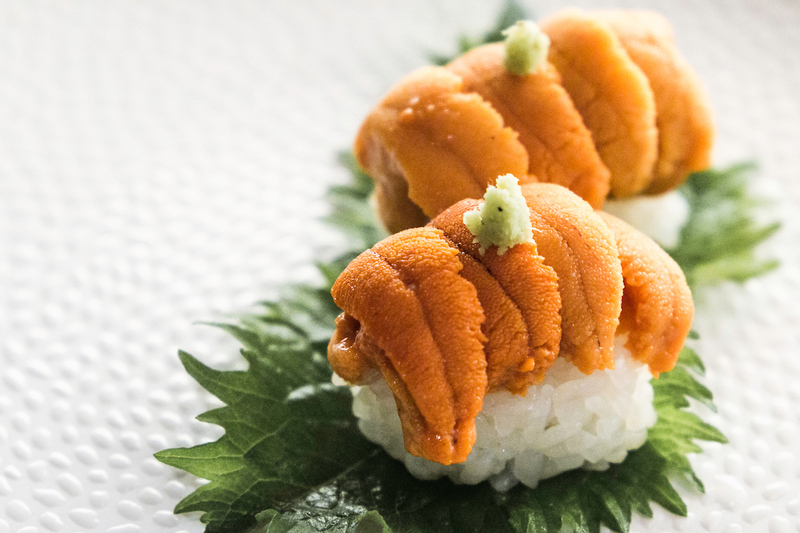 Uni, the edible part of Sea Urchin, is a Japanese delicacy that people either love – or, just don’t. The intense salt-of the-sea flavor, coupled with the creamy texture is a favorite of many, especially Chef Naoki. Learn more about our current Uni offerings; Santa Barbara Uni and Hokkaido Uni from Chef Naoki, below. 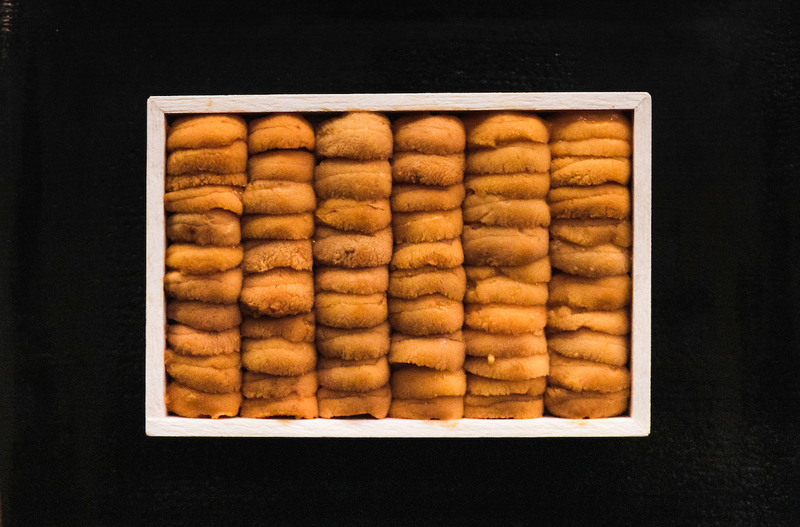 “California Gold” is the highest grade of uni that has a vibrant, bright color and is more firm in texture. It’s melt-in-your-mouth sweet and delicious. 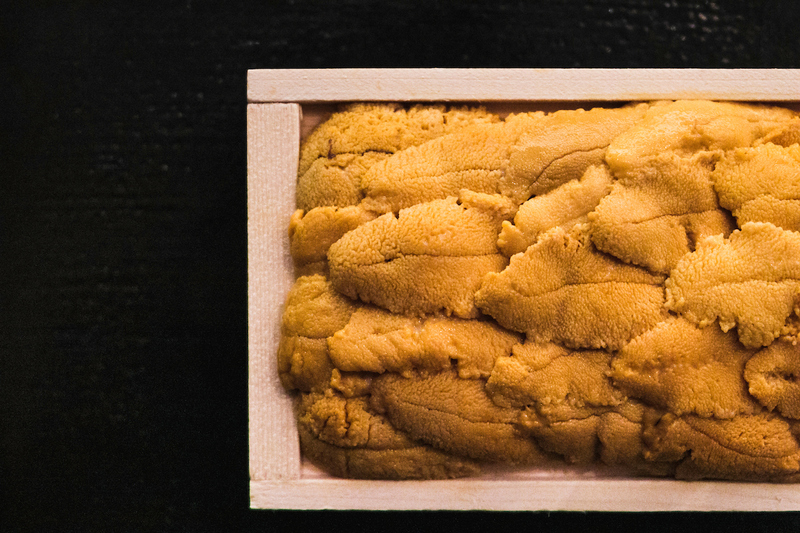 “Grade A Hokkaido ” is the highest grade, best quality uni from Japan, and Chef Naoki’s personal favorite. It has a deep orange color and a balanced flavor that is sweet and has a delicate ocean freshness. 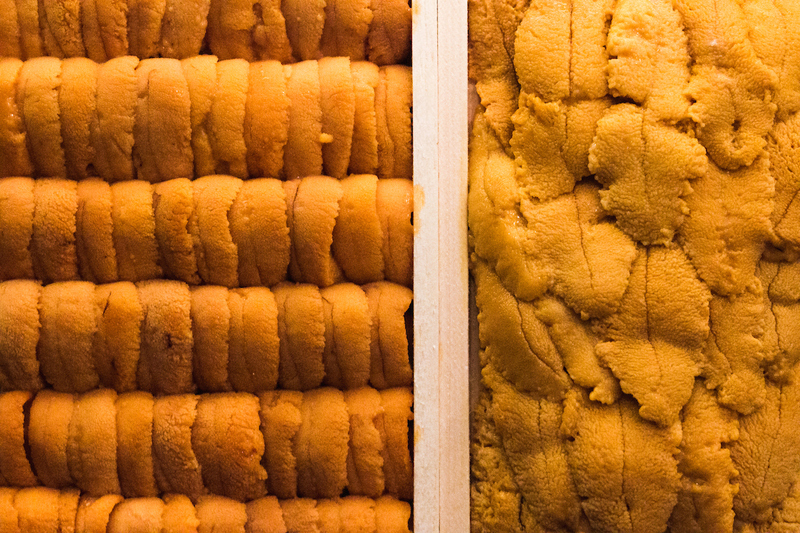 Hokkaido Uni on the left. Santa Barbara Uni on the right. 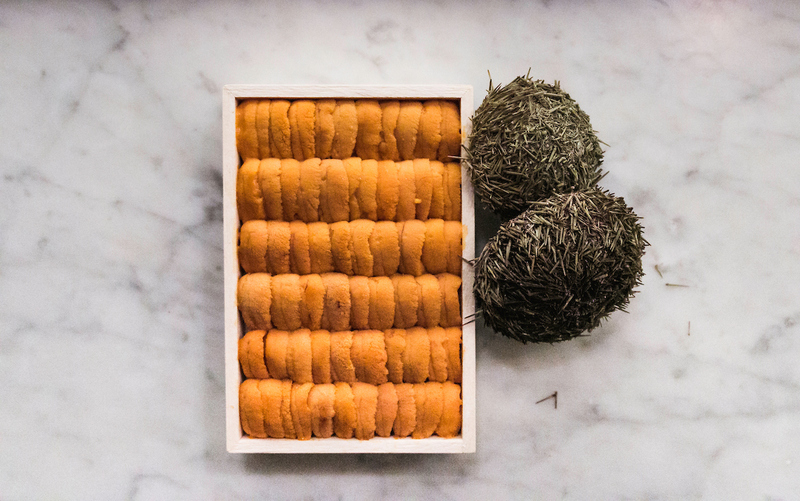 The uni from Santa Barbara tends to have a sweeter flavor, whereas the uni from Japan tends to have a creamier, smoother texture and a more balanced sweet, yet ocean-y like flavor. 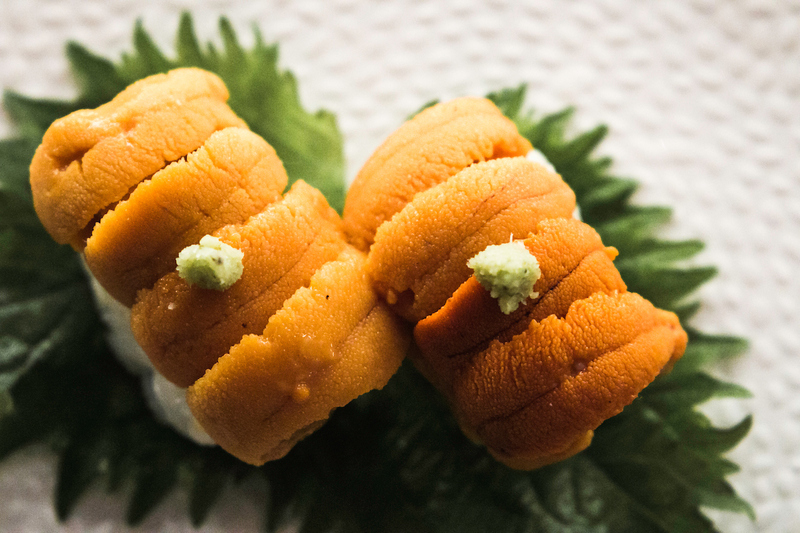 If you’ve never had uni, here’s why you should try it. High quality uni is both rare and delicious. 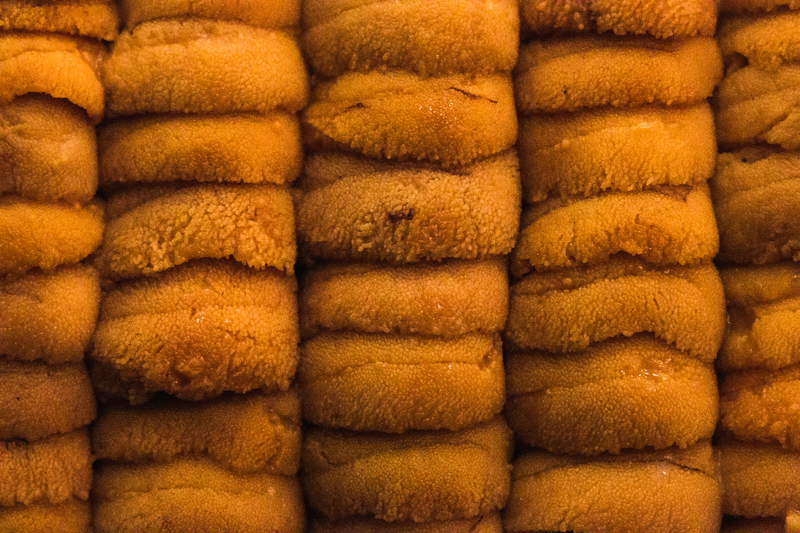 Rumor has it that uni contains a natural euphoria causing chemical that affects the pleasure receptors in the brain. And how you should try it? Chef Naoki suggests eating uni as a nigiri or sashimi. Pair it with a crisp, dry sake or Champagne and you’re set! To make your reservation at Naoki Sushi, click here.